We are just a month away from the release of Pacific Monsters, a new anthology from Fox Spirit Books with dark monster tales from Australia, New Zealand, and the Pacific Islands like Hawaii and Guam, all written by local authors. Here you will find dark stories about the taniwha, great sea monsters, shapeshifters, giant spiders and creatures in the billabongs and the zoo, to name a few. The book is volume four of a world spanning hunt for scary tales that I do once a year through the Fox Spirit Book of Monsters, a seven-volume series with titles published between 2014 and 2020. 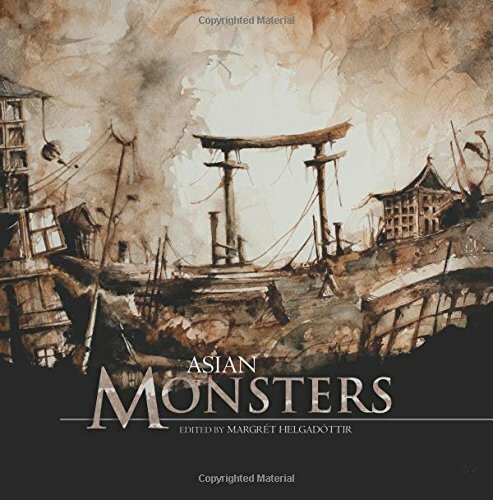 The first three volumes cover European, African and Asian monsters. In the end of November we stop in the Pacific region before we continue next year to Central and South America. In 2019 we will visit North America before the journey ends in Eurasia in 2020. We also want to have the monster tales told by authors who are either from, have lived in or have another strong connection to the different continents. Who else should tell us about the monsters from their regions but the authors who know them best? I also try to locate illustrators and graphic artists from the regions we visit but have not managed to have this hundred percent in the books. It has been our mission to give the monsters a renaissance as real monsters, a comeback of sorts with gorgeous art and in the style of a coffee table book, with short stories, art, and graphic stories. We really feel they deserve to be put on the coffee tables in the glamorous style right there the middle of the humans' homes! Not only do I wish to scare people with monsters they probably have never heard about. I also want the books to give the readers an insight into the continents we cover—it is a journey after all. I think we have succeeded in this, many of the stories discuss contemporary cultural and political issues in the different continents, even though most of the monsters are from ancient times. I give the authors much freedom to write their stories the way they feel will bring the monster’s bite across. So the books range quite broadly in style, theme and genre. We have modern stories, legends and survivor’s accounts, told through genres such as science fiction, fantasy, YA or the more literary. We even have stories set in a futuristic world and even post-apocalyptic settings. As you can imagine, these books are quite different to make than the ordinary anthology. I feel so blessed as editor to be able to work with authors and artist from all over the world, letting them tell stories from their own culture. I spend much time in the beginning of each book project researching and building up the table of contents. Hopefully I have succeeded in creating books that gives a small glimpse of the many talented authors and artists, all the local cultures, folklore and monsters. With this in mind, I am very grateful that we have received some attention to the books so far. Both African Monsters and Asian Monsters were shortlisted to British Fantasy Award as Best Anthology (2016 and 2017), and one of the short stories in African Monsters, ‘Bush Baby’ by Chikodili Emelumadu, was shortlisted to the prestigious Caine Prize for African Writing in 2017. Hopefully this helps bring out the scary word about all the great monsters of this world, not the ones who sparkle and want to be your friend, but the real monsters, those who want to tear you apart.